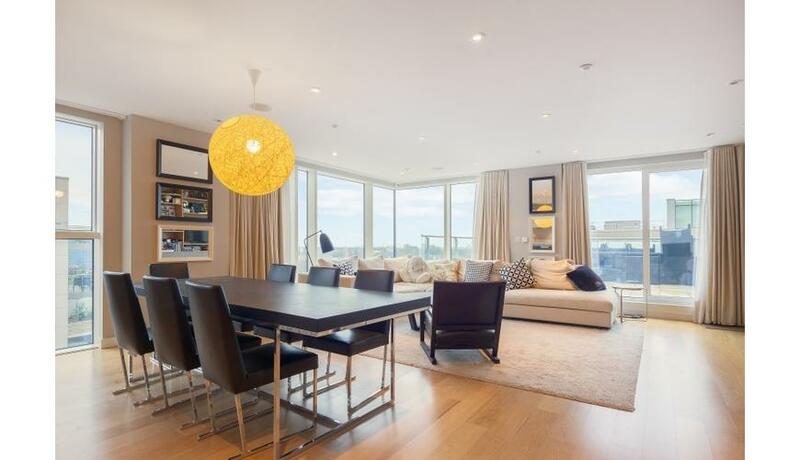 A rare opportunity to rent the beautiful split level penthouse apartment set within the exclusive Woodberry Park development. The property is arranged over the ninth and tenth floors and comprises a spacious open plan living room / kitchen opening onto a roof terrace. The tenth floor has three spacious bedrooms (two en-suite) and a family bathroom. Woodberry Park is one of the biggest regeneration development projects in London. There are two large lakes for watersports plus a large natural landscape. Residents will also benefit from a swimming pool, a residential fitness suite, and a 24-hour concierge.